ForgottenTour #68 continued a recent run of pleasant weather (21 of the past 22 tours have been in at least partial sunshine). 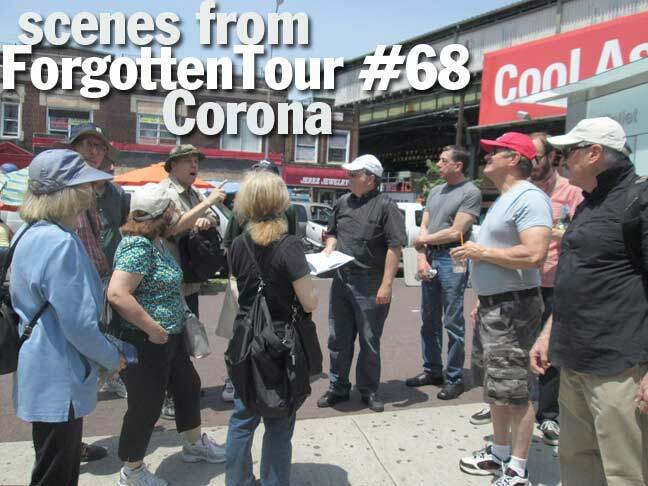 Meeting at Corona Plaza, 103rd Street and Roosevelt Avenue, we walked in a nearly circular route, visiting Corona’s historic relics as well as crowd-pleasing attractions such as Mama’s of Corona on 104th Street and the Lemon Ice King at Corona Avenue and 108th Street. I’d especially like to thank Irene of Mama’s, who paused from her busy day to show us around on a mini-tour of Mama’s (officially, Leo’s Latticini) and provide us with a bagful of free biscotti. Flickr: ForgottenTour #68, Corona. Click on any photo for a brief identification. 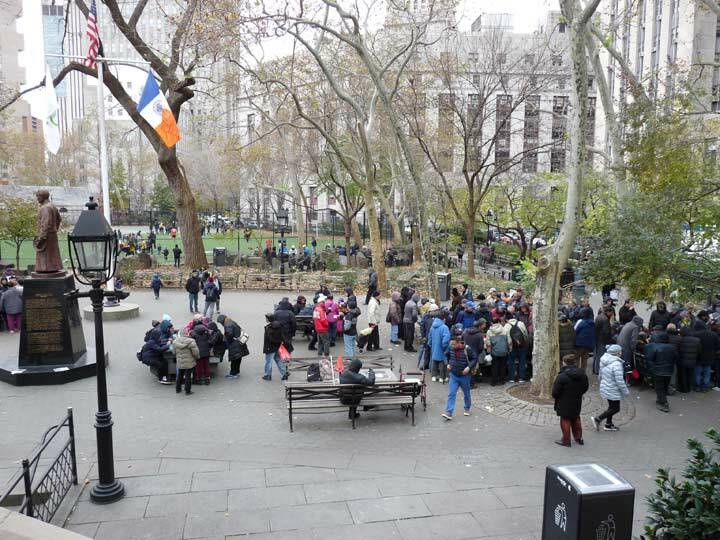 This is just a small sampling — to see all stops you must come on the tour! All photos by Joe De Marco and Bob Mulero. Some tour notes courtesy Christina Wilkinson.